CPDMA is new initiative funded by USAID to promote movement towards data-driven early childhood systems in sub-Saharan Africa. The Consortium convenes a network of government officials, researchers and other stakeholders interested in pre-primary data and measurement. We emphasize cross-country learning and exploring how we can use data to help improve children’s learning in the years before they enter formal schooling. Convene a consortium of global early childhood partners, including a taskforce of researchers and practitioners actively engaged in measurement and monitoring in sub-Saharan Africa. 3. 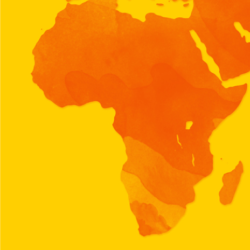 Support for a taskforce of researchers and practitioners in a small number of sub-Saharan African countries who will tackle challenges related to data use and share their learning with the larger Consortium. Are you interested in being part of the Consortium? We are seeking global early childhood partners to join the consortium. Consortium Kick-Off Meeting at CIES, April 15 7am-9am, San Francisco. Waterfront E located on the atrium level. Please REGISTER HERE. The Consortium is just getting underway. If you are interested in participating, and/or would like more information, please contact us. Please also sign up for our newsletter below.